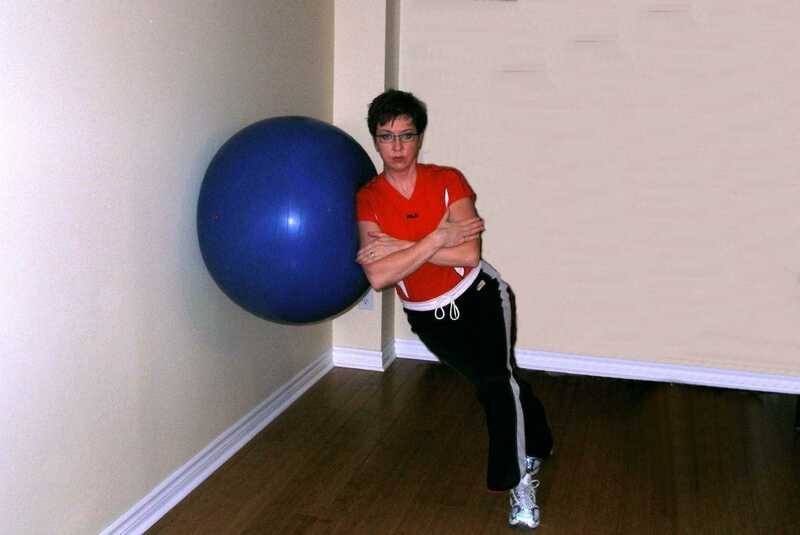 Put your stability ball on the wall at shoulder height. Stabilize the ball between your shoulder and the wall. Cross arms over your chest. Take a step out from the wall. Place your feet one in front of the other and maintain a neutral spine. While keeping your trunk stable and your chest up, slowly lower yourself down and back up. Slowly lower yourself back down. To avoid knee injury be sure that your outside knee does not move in front of your foot. Try moving further away from the wall. Try standing on the inside leg only.